...Great, but what does that mean? Oh, sure, we know that everyone knows it means something green, something sustainable, something good for everyone. But what is it? Let's start at the very beginning. LEED stands for Leadership in Energy and Environmental Design. We're the only privately owned meeting and event facility in the U.S. to earn LEED Silver designation. 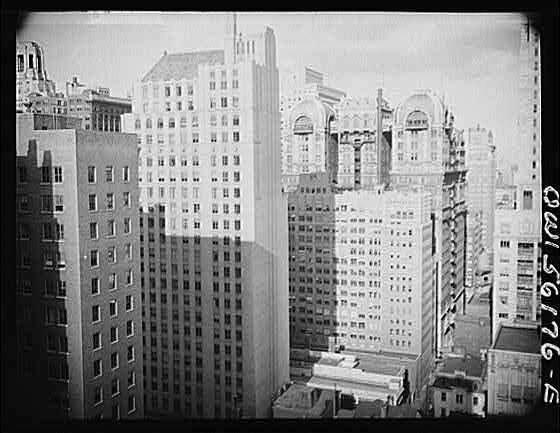 LEED was created by the U.S. Green Building Council in the late 90s to provide some kind of standard for companies interested in creating buildings that were more environmentally sound. You can also earn LEED certification for green interiors, which is what we've done. We use wind energy to power our operations. Our circulation system is specifically built to circulate cleaner, healthier air, more efficiently. We do everything we can to continue good environmental practices: We recycle, purchase from local vendors, and use environmentally friendly cleaning solutions in our day-to-day operations. One final thing we're doing to make sure your meetings are green: We participate in the Philly Zoo's carbon offset program, Zero Footprints, which allows for the carbon credits we purchase to go towards reforestation. It's an awesome program, and we feel proud to contribute towards more trees. That's just the tip of the iceberg. But really, all you need to know is that we're green, in part so that you can have one fewer thing to worry about. 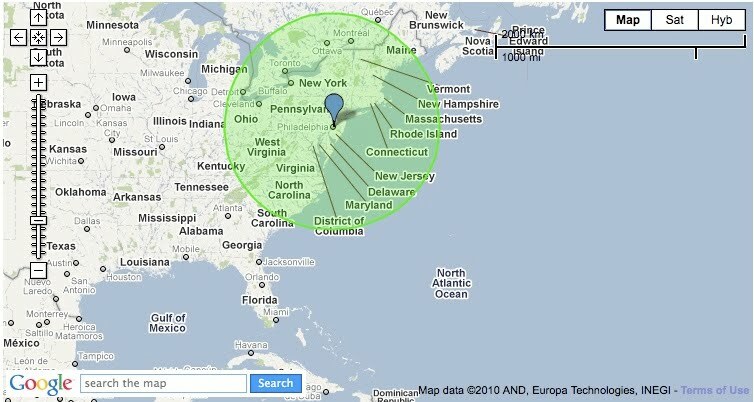 You can calculate your carbon footprint here. Everyone likes to give. Even in this decade, in the worst recession some generations have ever experienced, corporate giving has varied by less than 5% between 2008 and 2010, according to news reports. And some law firms have upped the number of hours they'd like to see their attorneys spending on pro bono cases, a trend that started early in the recession and continues to this day. Why? In the case of law firms, experts say that working on pro bono causes helps young associates to feel brighter and better about their futures. And in many cases, corporations are looking for ways to help their employees feel good about the places they spend 40-60 hours a week. PepsiCo, for instance, has pledged its advertising dollars to a crowd-sourced competition called "Refresh Everything" that allows true democracy to pick worthwhile causes: Once a month, you and your friends can vote for a cause to win $5,000; $25,000; $50,000; or $250,000. Yeah. Once a month. We know a Pepsi employee, someone who's been with the company for close to ten years now, and we now hear him say, almost daily, that he's proud to work for them. Pretty cool stuff. At The Hub, we're proud of where we work for more than a few reasons, but we're particularly proud of our connection to philanthropy: One of our founders, Bill Decker, is an avid volunteer for, and a board member of, an international disaster-relief group called ShelterBox. When a disaster happens, Bill gets a phone call. And if he can take time off from his work and his family, he's off to the area of disaster within 24 hours, distributing aid directly into the hands of people who need it the most. Why? What makes philanthropy such a great thing for corporations--and leaders of corporations--to get involved in? The answer is two-fold. First, it builds community. If a company can rally around a cause, claim it as something it's deeply interested in, that cause becomes a focal point for all of its employees. Second, it gives back to the community. We've explored before how important it is for us to support our local economy through simple steps like purchasing local; now apply that in a more tangible sense. If you can give back to your community as a business, you have pride of ownership in your community. In the end, everyone wins. At the Hub, we've started a new program that allows all full-time employees to take up to 16 hours per year of paid leave to provide volunteer services within the greater Philly area. That non-profits in Philadelphia, Southern New Jersey, and Delaware that focus on human, educational, environmental, or public safety community needs can benefit from our great employees. We know why we do it: Our employees are happier for it. And it's the right thing to do. Thursday: Client meeting at The Hub Chemical Heritage Foundation site; take the Audi. No, no, it's not the schedule of our friendly local millionaire; the guy with the twenty-car garage. It's the way our partners at PhillyCarShare envision a potential work week. Goodness! 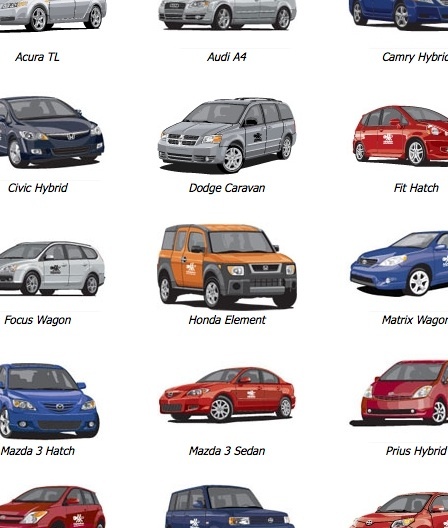 So many cars to choose from! As much as we love the idea of changing cars as often as we change our shoes, we're truly enamored of car-sharing for its environmental benefits. How's that, you say? It's still a car on the road, isn't it? Well--at face value, it is. But for those of us working and living in big cities like Philadelphia, New York, and Chicago, it makes complete and total environmental sense to just have a car when we need it. Experts at Carsharing.net, an industry resource, estimate that for every one car share, there are 15-20 fewer cars on the road. How's it work? Well, take PhillyCarShare for example. When staff at The Hub have to go between sites, we make a reservation at PhillyCarShare.org. We go to pick up the car at one of PhillyCarShare's many convenient parking spaces, and drop it off later. Philly Car Share locations are convenient and plentiful. In the end, we're keeping cars off the road by borrowing from a pool of cars that already exist. We're living healthier lives, because we've gotten used to walking or bicycling places that we might have just previously driven to out of sheer laziness. And although the environmental benefits of car-sharing might be long-term, the economical value of our arrangement with PhillyCarShare is really quite immediate: We don't have to buy a fleet of Hub vehicles. And that makes car sharing a smart business decision, at the very least. We know, it sounds suspiciously like Hump Day. But it's not. See, Hump Day is Wednesday. Hub Day is Friday. Got it now? No, we're kidding. That's not the only difference. 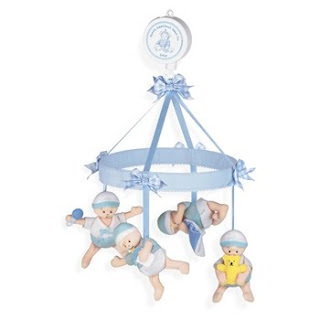 Every Hub Day from here on in, we'll post something here that rotates around our core values. We want you to get to know us, and we want to get to know you. Please, feel free to post comments. Today, we'll tell you a little bit about some of the art in our space. 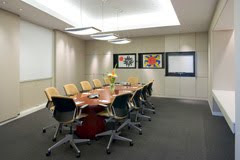 At our CityView offices, we're very fond of our Calder room, which we'll focus on today. 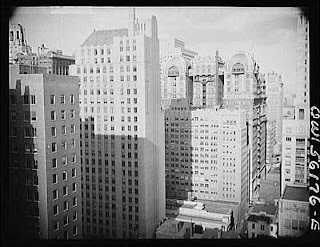 There were three generations of Calders, all with ties to Philadelphia, but probably the best known was the youngest of the Calders, Alexander, also known as Sandy. He confined himself not to working in one medium, like his father and grandfather before him, but stretched his limits to work both in two-dimensional and three-dimensional art. 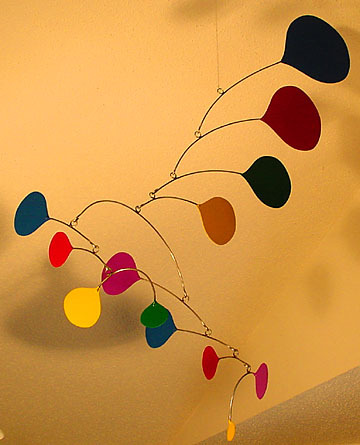 In fact, Calder is the inventor of the mobile. You know, that thing that hangs over a baby's crib? It got its start as a piece of high-concept art. In the Calder room, which seats 10-12 people, you'll be greeted by two works of Calder art. Red Moon, Black Sun (1968) is a lithograph. We like it for many reasons, but we like to think of a young Calder in one of his first jobs out of college as a fireman on a boat. One morning, he woke up on the deck of the ship, which was docked just off the Guatamalan coast, and saw both the full moon and the rising sun. It was a motif that would inform much of his art. "Our Unfinished Revolution" is from 1975, and is actually a cover from Calder's book of the same name. 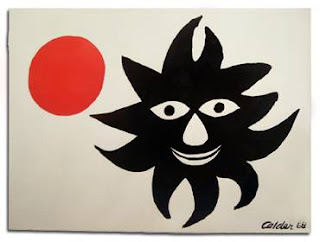 Calder's life was peripatetic. He went from Philadelphia to Roxbury, CT; from there to Paris; from Paris to New York. His artwork meandered, as well; from paints to steel to wire and into the realm of jewelry. He is by far one of the most versatile artists we know of. Perhaps it's for this reason that we chose Calder for this room. When you're here, we want you to think in terms that are as varied, as wide-ranging, as Calder was. We want you to feel energized, to come up with solutions and ideas that are innovative and creative. And although we don't guarantee that result in the Calder room, we think you'll feel just as inspired by his work as we were. One more thing: Calder was also a huge fan of the circus. That could be part of the reason that much of his work was so playful-looking. We encourage that, too: Approach your work with as much enthusiasm as you would play, and that, we think, will have a terrific effect on your meeting. To take a virtual tour of our Calder Room, click here. 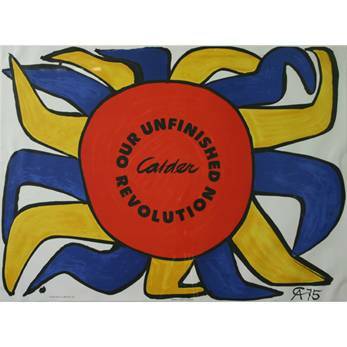 To find out more about Alexander Calder, visit the Calder Foundation on the web. Good morning! And thanks for visiting. We're excited to introduce our twice-weekly blog, in which we endeavor to let you know what's on our minds, in the hopes that it'll help you to be the most productive you can possibly be. And yes, OK, we'd like for you to get to know The Hub, as well. Mondays at The Hub's blog are dedicated to something super close to our hearts: The environment. We take stewardship of our environment just as seriously as we take your productivity and the planning of your meetings. This week, we'll explore local sourcing and how it helps us to maintain our standards. The Hub purchases locally as much as we can. 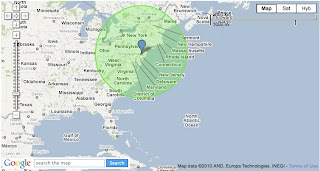 To quote from our environmental sourcing edict, we buy from sources within 500 miles of our offices. We do this for a number of different reasons. First, we want to support our neighbors and the companies that boost our local economy. We're a local business too, although we cater to many national companies. Buying locally means that our local employment rate stays healthy, that there's plenty of choice and diversity in our local economy, and that the money that's made in Philadelphia stays here. Second, we want to limit our carbon footprint. (This is something we'll explore in-depth in a later post.) Essentially, it means that we want to make sure that as little fossil fuel as possible is spilled over getting our goods to us. Third, we want to make sure we know our community and support it. It's a bit of a nebulous concept, but think of it this way: We'd like to think that every one of our local vendors knows who we are, and that they can depend on us. We hope they feel the same. Here's a brief list of some of the companies we work with. They're all local, or have local warehouses or distribution points (denoted by an asterisk). Big, warm thanks to our partners. We're proud to work with you!